Notes: I started with 262 sts. I should have made it a lot longer. 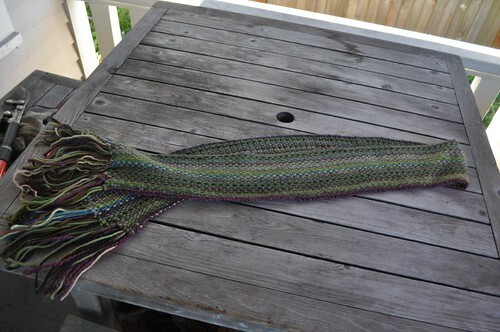 It's a pretty skimpy scarf. 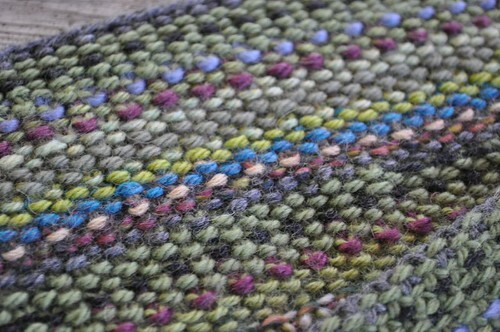 I didn't like the pattern as written and added edge stitches in garter. I should have used a larger needle. It seemed crazy to use even a 10.5 when starting because I was using fairly light-weight yarns but this stitch is really, really dense. 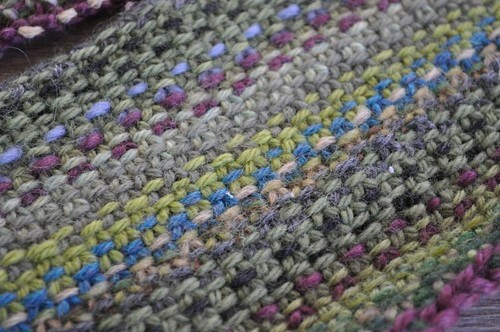 I love the look of linen stitch but I don't think I ever want to knit it again. It's slow, tedious and fairly impossible to correct errors on earlier rows with just ripping it all out. I like how it turned out and your choice of colors. I've been wanting to make one of those, but if it's tedious, I'll skip it. I don't need another tedious project these days. But I love how it turned out!! !